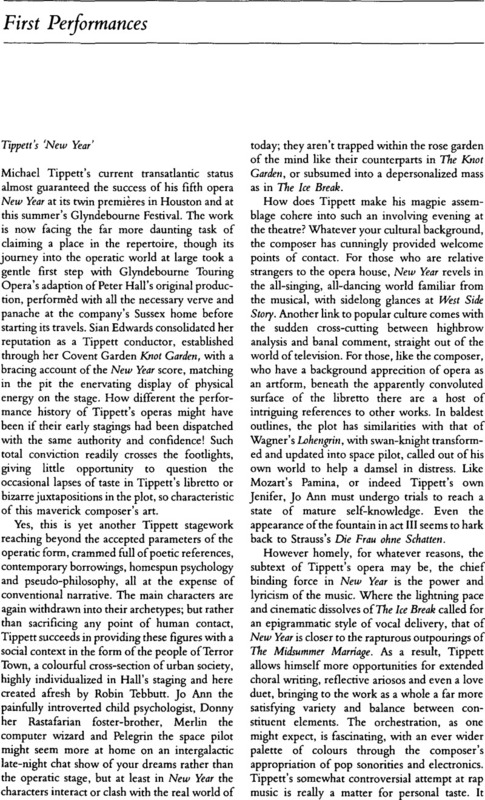 1 See review of Tryst in Tempo No. 170, 09 1989, pp.38–39 . 2 When this work was broadcast in “Music in our Time” on 4 October 1990, it was incorrectly stated that it was composed in 1989. In fact, it was written in 1983 (see Universal Edition leaflet on Nigel Osborne) and broadcast in an earlier edition of ‘Music in our Time’, 5 January 1984.